Somehow this particular matter have missed our radar since it was already set in motion last month but nevertheless, it has come to our attention that the price for two other Nokia Lumia Windows Phone 8 devices apart from Lumia 925 and Lumia 920 have been reduced as well. 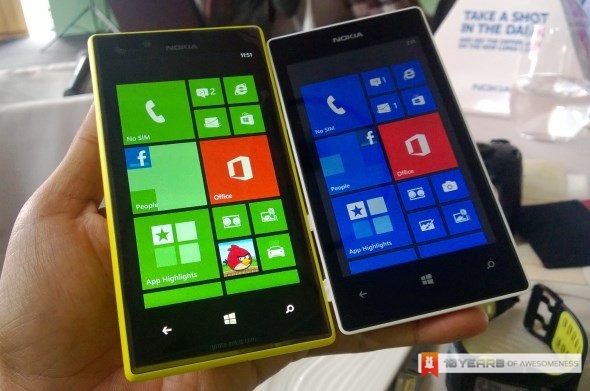 Specifically, they are Lumia 520 and 720. That being said, the differences are not as much as Lumia 925 or Lumia 920. The entry-level Lumia 520 is now priced at RM 529 as compared to its original price of RM 599 while the mid-range Lumia 720 now goes for RM 899 – around RM 100 less than its launch price of RM 999. Additionally, customers should be able to receive a further 10-percent discount to purchase a new Lumia 520 or 720 if they show off a loyalty SMS (we have no idea how one can obtain it) or any Nokia devices at any Nokia Store before 7 August. Meanwhile, you can take a closer look at both devices right over here and here respectively – just in case you are not familiar with them.